Ithaca Beer Co. came to Renovus in 2017 with a mission, to offset as much of their production costs using solar. The brewery’s rapid expansion over the past five years had increased both the electrical demand of the facility and the overall cost of operations as a result. 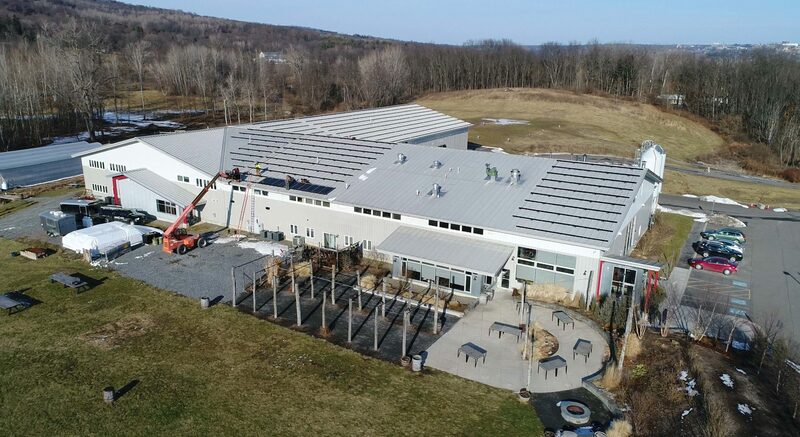 Ithaca Beer’s expansion also had an unintended consequence, creating a series of roofs that would support a large solar system, capable of achieving their cost cutting goals. 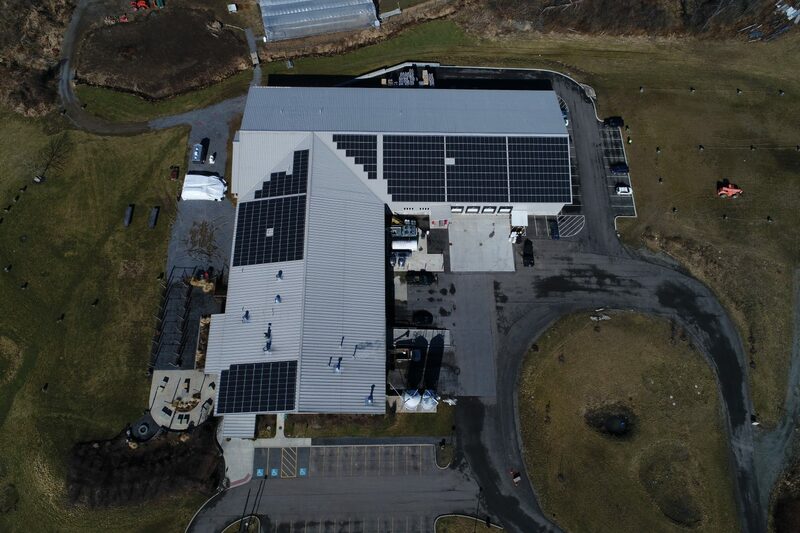 Renovus worked with the Ithaca Beer team and local financiers to help get clearance for the brewery to purchase a 200kw system installed entirely on their roof. This system, consisting of nearly 700 American made solar panels will offset 25% of their total energy needs during peak seasons.